The closing for the Euro on spot at 128.20 on Friday was a serious break of support. The primary bank of support now lies at the 12100 area. This week proved to be a minor Panic Cycle taking out both the previous high and low. The turning points ahead are next week and the week of 04/15. If we have a knee-jerk reaction rising first, this should push the low into May. However, a collapse next week of 12100, could be followed by a rally into 04/15 with a resumption to the decline thereafter. 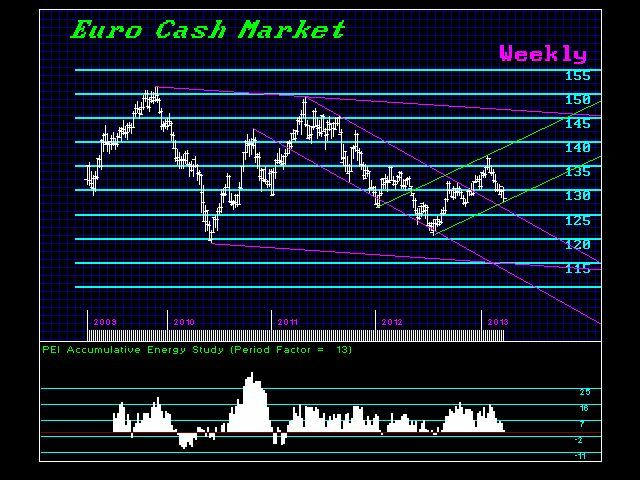 The primary channel shows the Euro never broke out to the upside and has been in a slow gradual decline. The primary support lies at the bottom of this channel in the 11100 area.